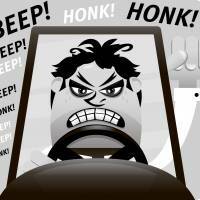 Whatever you call it, road rage can be deadly. 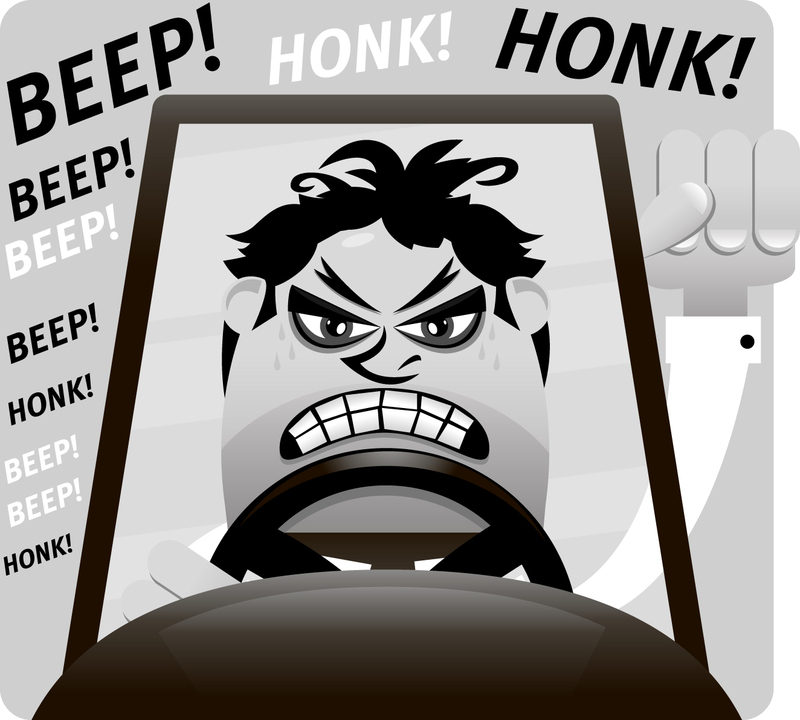 The term “road rage” refers to argumentative and sometimes violent behavior by drivers when annoyed by other road users’ actions. It is believed to have been coined in the United States in the 1980s, and had spread to the U.K. by the next decade. While the English “rōdo rēji” is understood by Japanese, the tabloids avoided use of this term in their reports of recent incidents, including a fatal accident on the Tomei Expressway last June 5. They instead have been described in the vernacular with a variety of different words. For example, Yukan Fuji (Oct. 13) used the phrase “sobō na hashiriya” (“violent street racers”); Nikkan Gendai (Oct. 21) called them “kireru doraibā” (“drivers who lose it”); Friday (Nov. 3) used “kyōaku doraibā” (“atrocious” or “brutal drivers”); and Flash (Nov. 7) referred to the phenomenon as “akushitsu aori unten” (“malicious tailgating”). It was thanks to a dashcam on a truck last June that TV viewers could be shown images of what occurred the Tomei Expressway, which resulted in the deaths of 45-year-old Yoshihisa Hagiyama, an auto maintenance worker, and his wife Yuka, age 39. The Hagiyamas were driving westward, toward their home in Shizuoka, with Yuka at the wheel. It is believed that while stopped at a rest area in Nakai, Kanagawa Prefecture, Yoshihisa had complained to Kazuho Ishibashi, age 25, over the way he had parked his car. Infuriated, Ishibashi chased the Hagiyamas’ vehicle from the parking lot for 1.4 kilometers, swerving in and out of the passing lane and braking to a halt in front of the car, forcing Yuka to jam on the brakes. Seconds later, a large truck rammed the Hagiyamas’ car from behind. The couple’s two daughters, also in the car at the time of the collision, suffered minor injuries. In a bizarre case of collateral damage, J-Cast News (Oct. 19) reported that Hidefumi Ishibashi, president of a construction company in Kitakyushu, Fukuoka Prefecture, was misreported as being the father of the offending driver, when in fact he was completely unrelated. But that did not discourage more than 100 trolls from posting hysterical rants and physical threats against him on 2channel and other public online bulletin boards. To ensure his family members’ safety, Ishibashi felt compelled to withdraw his children from their school. On Oct. 10, Kazuho Ishibashi was charged with vehicular manslaughter, which if found guilty provides for imprisonment from one to 20 years. Nikkan Gendai reports that recently such temperamental outbursts have by no means been a rarity throughout the nation. On Oct. 16, an accident occurred on a two-lane national highway in Aichi Prefecture, in which the driver of an automobile, in his 30s, stopped in the path of a truck driven by a man in his 40s. Then two days later, in Kakogawa, Hyogo Prefecture, Yoshiyuki Koto, a 36-year-old auto maintenance worker, went after an 18-year-old company employee in his car, slamming into it from behind. He had been infuriated when the other car passed him, and forced it off the road at a junction. Disembarking from his car, the man waved a golf club at the terrified younger man, shouting, “I’ll kill you!” The entire incident was recorded by a traffic camera and Koto was arrested on suspicion of committing a violent act. Flash magazine (Nov. 7) invited the Japan Automobile Federation (JAF) to contribute 15 images shot by drive recorders showing examples of dangerous driving, such as passing while ignoring a solid center line, or cutting in on the right while the car in front is signaling for a right turn. From analysis of some 7,000 drive recorder images — which JAF posts on a web site called Doradora Doga (drive-drive.jp) — motoring journalist Atsushi Sato offered Flash readers “Ten rules for protecting oneself from dangerous driving that leads to tragedies”: 1) Drive with the flow of traffic at the posted speed. 2) After passing, return to the cruising lane. 3) Avoid frequent changing of lanes. 4) Don’t talk or text on your telephone while waiting for a light to change. 5) If you are tailgated, move aside and let the other driver pass. 6) If a driver tailgates you, under no circumstances should you brake sharply. 7) Irrespective of speed, the correct space between moving vehicles is two seconds. 8) Do not drive close to a vehicle that gives a sense of threat or intimidation. 9) Install a drive recorder and place a sticker on your car informing other drivers that you are recording. 10) Should you feel threatened, lock your door and dial 110, the emergency police number. According to data from the National Police Agency, during 2016 a total of 7,625 drivers were charged with tailgating or otherwise failing to maintain a safe distance between vehicles. Police advise anyone who feels threatened by such a driver to report it promptly.